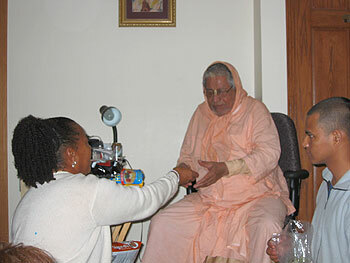 Divya Shakti Didi presents Srila Govinda Maharaj with gifts that she has collected. 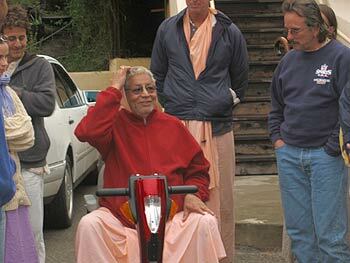 One by one, they are unwrapped. 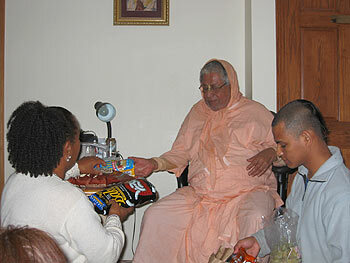 All are different kinds of healthy food. 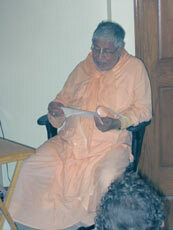 A letter from Madhuchanda Didi is presented to Srila Gurudev. 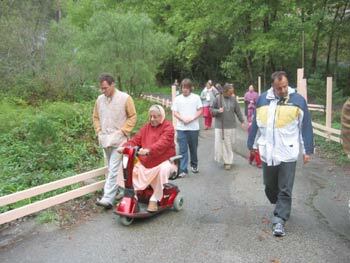 She and many other devotees are eager to see him in Mexico. 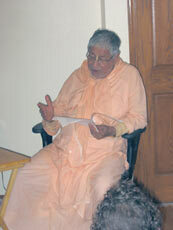 Srila Govinda Maharaj speaks with Pushta Krishna Prabhu. 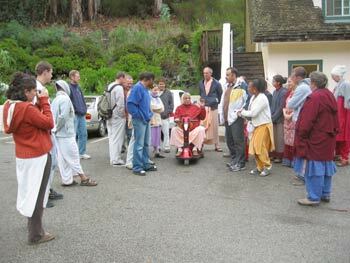 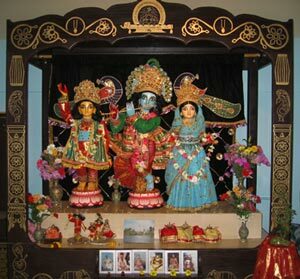 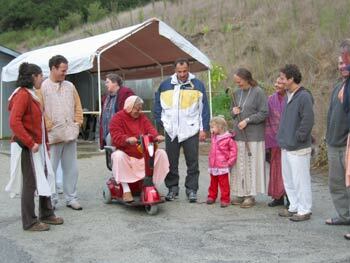 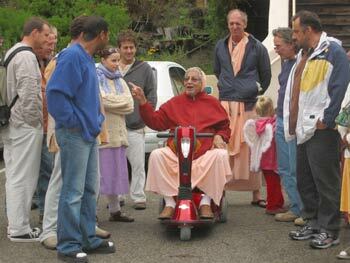 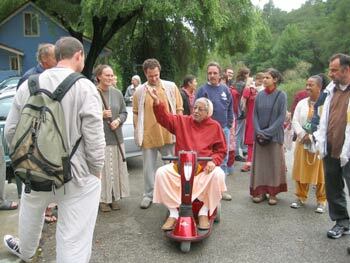 Srila Gurudev goes out on his daily ride around the Soquel Seva Ashram, or as he has remarked many times, the American Govardhan hill. 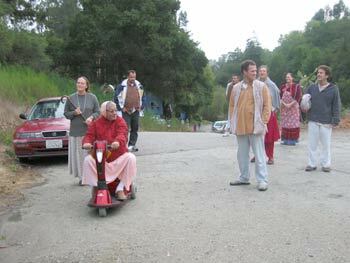 Going up and down slowly reduces the number of people following. 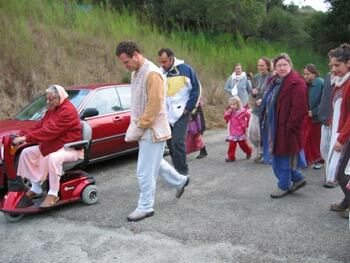 When Srila Gurudev stops, many devotees gather to have his holy association. 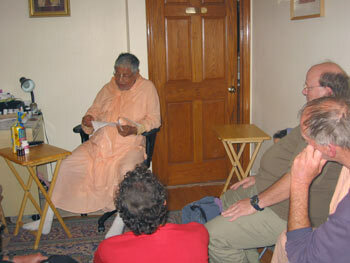 Talking with Nitya Hari Prabhu. 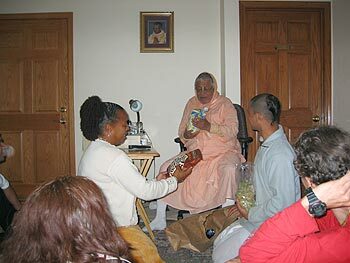 Hari Kirtan Prabhu and his wife Vaishnavi Didi obtained a Venezuelan visa for Srila Gurudev. 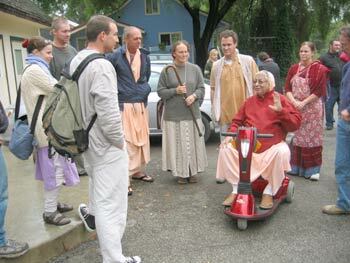 There is talk that he may leave California soon.